Ahhhhh! I’m dying a little bit over those Anna Maria Horner Pretty Potent prints. 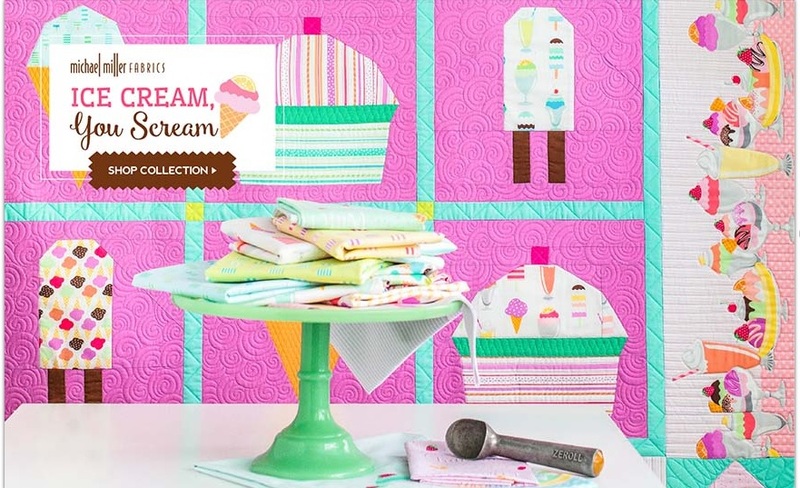 This is a fabric line that I adore, but never ended up making anything myself with. 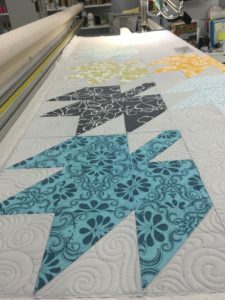 So it was a special treat to get to quilt this and ooh and ahhhh over the fabrics and quilt design. 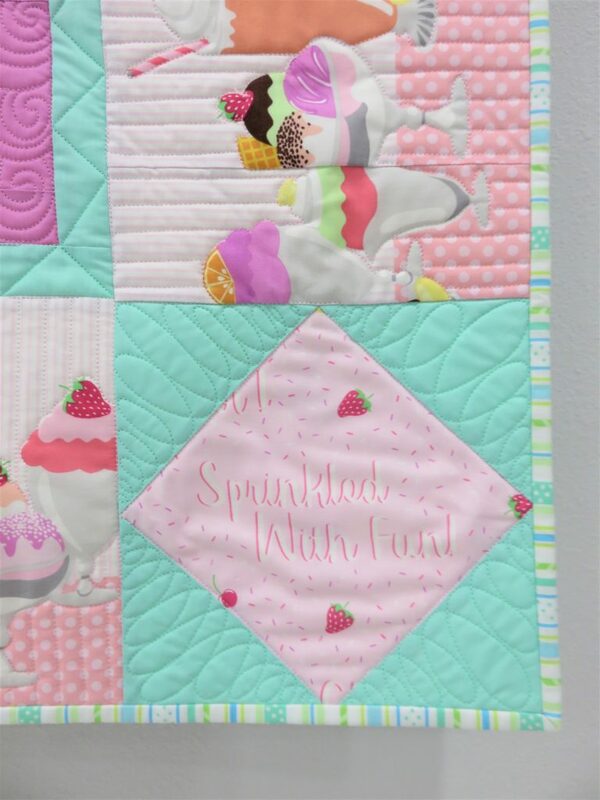 When I first looked at this quilt, I was literally stumped at what to quilt it with. 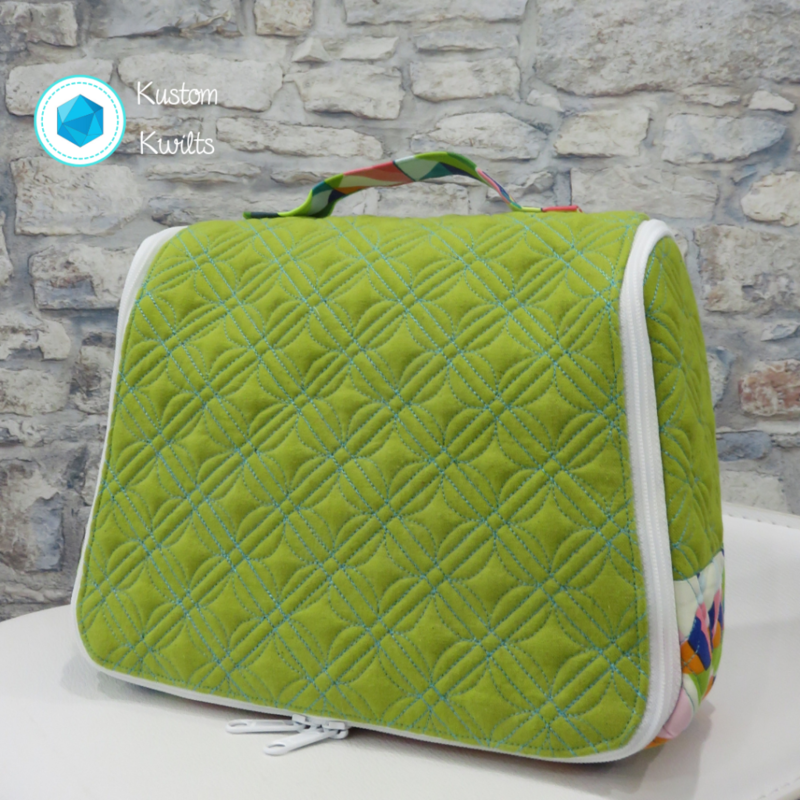 I knew it was going to be custom quilted, but couldn’t figure out what to do with all the negative space. I loaded it on the frame and it sat for a week. I sketched out ideas in my sketchbook and didn’t really have any great luck with inspiration. Finally I decided on a simple outlined design with some ruler work, embellished with pebbles and other straight lines to fill in the gaps. This picture has a filter on it to try to high light the thread more. 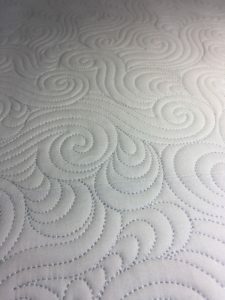 It was quilted with Glide Cloud, so it doesn’t necessarily blend like white thread would have, but it doesn’t starkly stand out from the background, either. 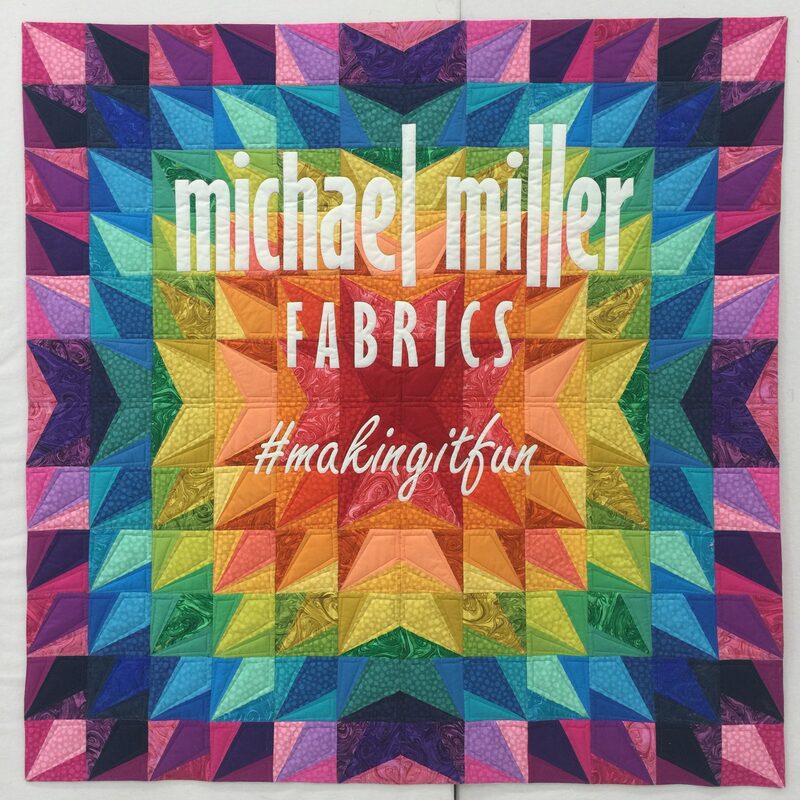 If I could change anything about the quilting, I would go back and double batt the quilt or use a loftier batting. You can see here a little better that each print fabric was outlined twice with a small ruler. Then pebbles were added, along with some straight lines for filler to add more texture. 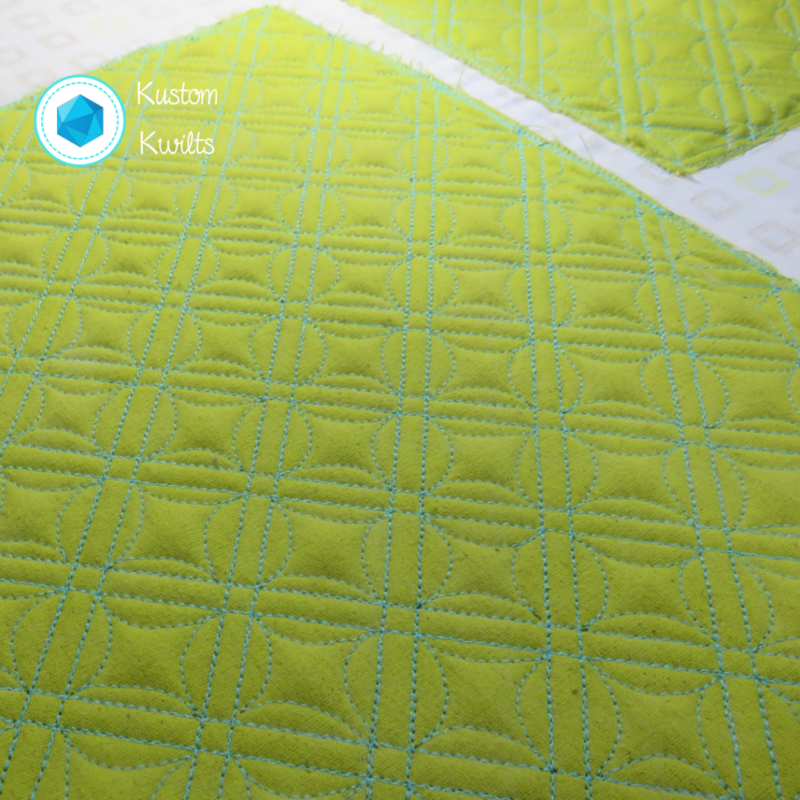 I really enjoyed the process this quilt took me through, and I hope to continue to better develop my quilting design. Usually, I can load a quilt on the frame and I have at least 2 fairly decent ideas by the next day. This quilt really gave me a run for my money, but all in all, I’m pretty satisfied with the results. 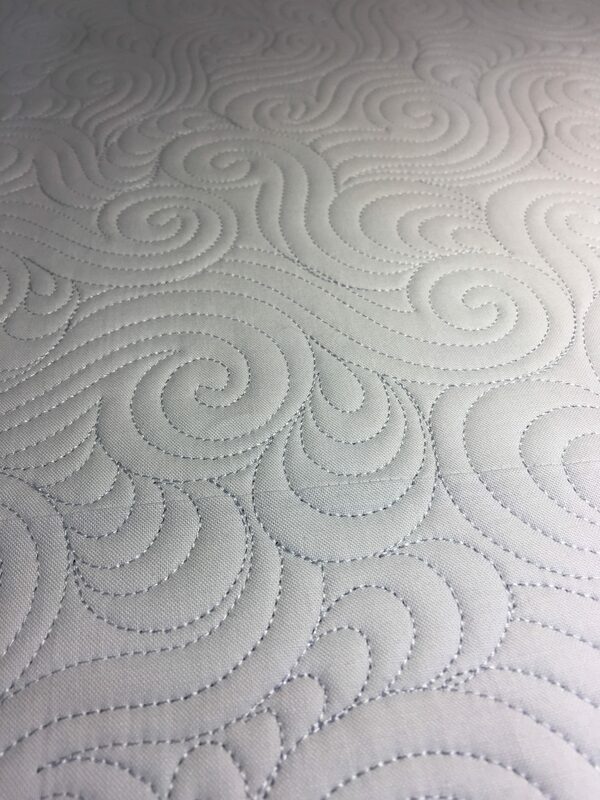 I really love the way a quilt looks finished when ruler work and free motion quilting are combined in the same top. 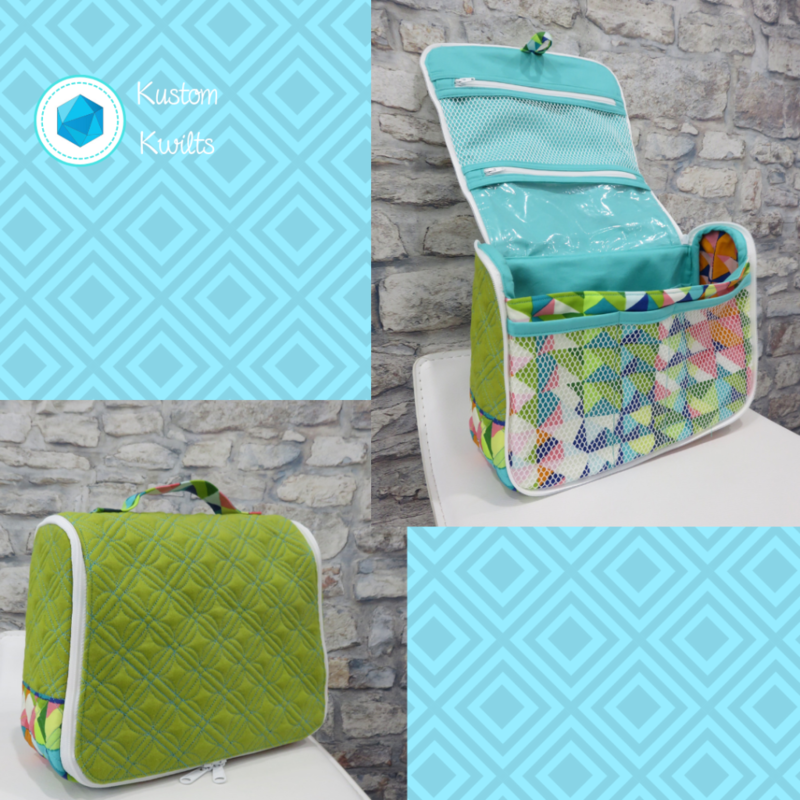 Sometimes the simplest design can work and really make the fabrics and quilt pop, and other times, it takes some work and elbow grease to figure out the best fillers and accents. 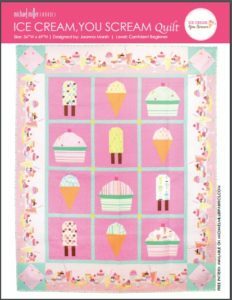 How many times have you looked at a quilt top and been totally stumped on how you would quilt it? I feel like this is a skill that really is developed over time and trial and error. 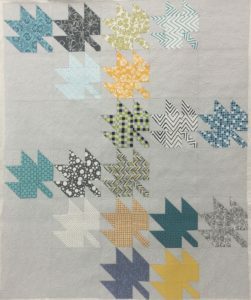 I’ll be the first to admit that my very first quilts–after quilting–didn’t really showcase the quilt pattern with the quilting as they could have. My quilting designs made little sense and didn’t work with the existing pattern to make the quilt pop. Basically, I was just quilting to get it done and keep all the layers together. 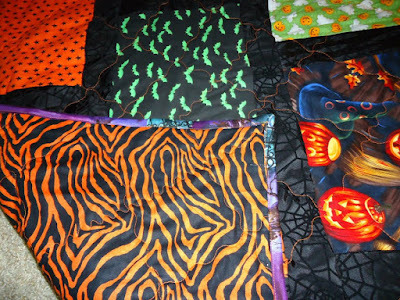 It’s a little difficult to see the quilting, but it’s orange thread in squiggly lines…obviously my photography skills were lacking as well 😉 This was the first quilt I ever made, in October of 2011. 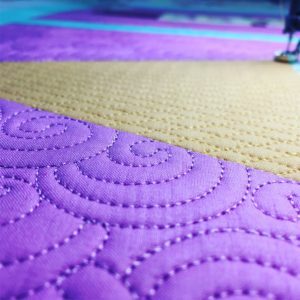 I think that typically, for beginning quilters, the quilting is all about function. 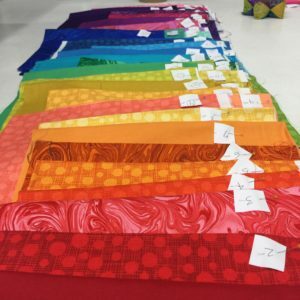 It’s difficult enough to remember 1/4″ seam allowance, minding your bobbin so you aren’t sewing without thread, etc. I know that I was just relieved to be finished, and I was very proud of the quilting at the time. Fast forward 5 years, and quilting is now my favorite part. 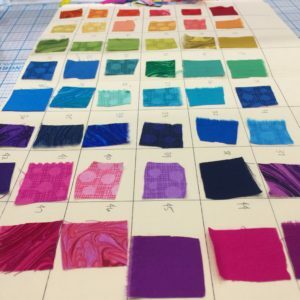 I’m enamored with the process of evaluating a quilt top, selecting batting, figuring out what quilting design will best display the awesomeness of the quilt pattern. I know that I still have a long way to go, and I pour over Instagram, Pinterest, blogs, books, etc. 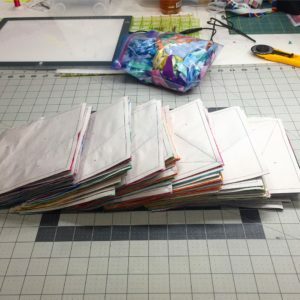 to find every piece of information and inspiration I can get before I start planning to quilt a quilt. 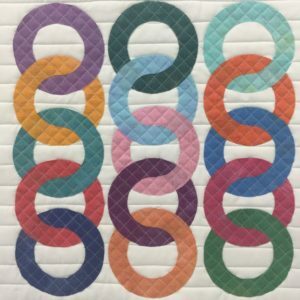 I recently had the opportunity to quilt my first Double Wedding Ring quilt. 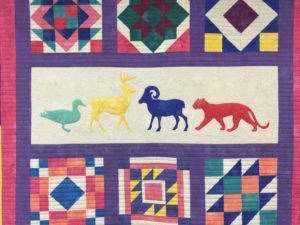 My client’s quilt was pieced entirely by her grandmother (prior to her passing) from vintage fabrics and feed sacks. It was the greatest honor to be trusted with a family heirloom. 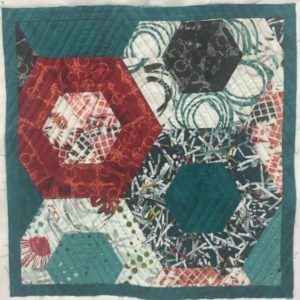 I used plastic overlays to audition different quilting designs, and finally came up with a combination of a few simple designs that I felt would work well together and really make the quilt pop. 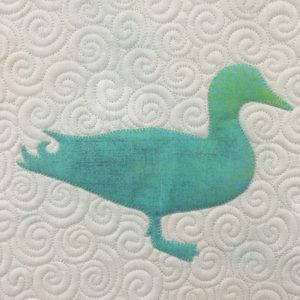 This was actually the first row that I quilted with a feather. I hated them and ripped them all out and started over. I stewed over the newly blank quilt after ripping the first row out and finally re-started. I was very pleased with the outcome and can’t wait until I can return it to the customer. Since the last time I posted (I know…it’s been a while! ), I have taken up long arm quilting. Somewhere along the line, I had this idea in my head that long arm quilting was “cheating”, and if a quilt was quilted on a long arm, then it wasn’t really “your” work. I could not have been MORE wrong. 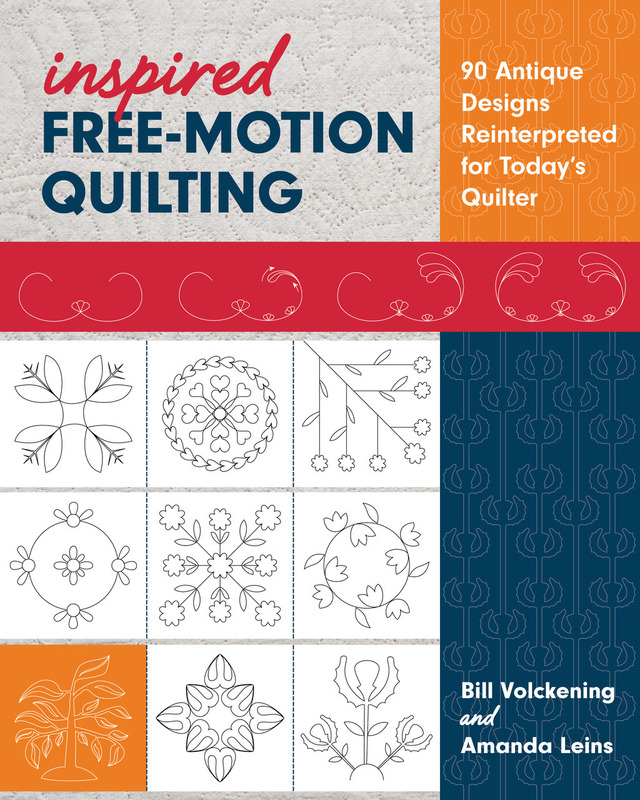 The category of quilting that I specialize in is free motion quilting. That means no pantographs, no computer programs…just you and the machine. Your hands and brain putting the thread and needle to work to create something magical that can’t be duplicated. that was donated to a local charity fundraiser. 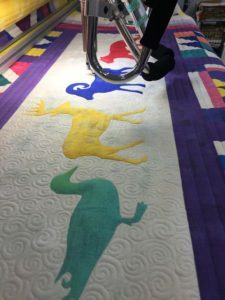 If you have any preconceived notions about long arm quilting, I would really encourage you to re-think them. 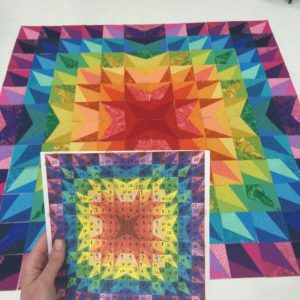 All it took was one time for me to know it was something that I would want to do for the rest of my life, and it’s really nice to have a break from piecing your own quilts to see the awesome talents your long arm clients have and the diversity of their work. 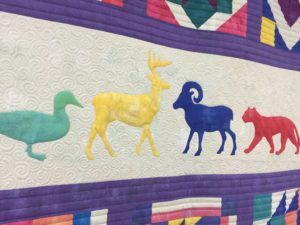 I never cease to be amazed by the quilts my customers bring me, and dreaming up designs to put into their quilts really challenges you to think outside the box. 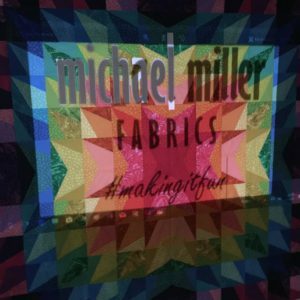 I’m so glad I’ve started my FMQ long arm journey, and I really relish every moment I spend doing what I love.